Dr. Roberto Pineda serves on the American Academy of Ophthalmology (AAO) Ethics Committee and on the AAO Practicing Ophthalmology Committee in Cataract.He has received the American Academy of Ophthalmology Achievement Award and Senior Achievement Award. A native Minneapolis, MN, Dr. Pineda completed his undergraduate degree in Biology (B.S.) at the University of Minnesota. He subsequently completed his medical degree at the University of Minnesota Medical School and was inducted into AOA, the Honor Medical Society. He was a recipient of the Howard Hughes NIH-HHMI Research Scholars Program at the Cloisters in Bethesda Maryland where he worked with retinoblastoma cell lines at the National Eye Institute. He went on to complete his Residency in Ophthalmology at the Massachusetts Eye and Ear Infirmary, Harvard Medical School where he served as Chief Resident for an additional year. As a Head Fellow recipient, he completed his Cornea Fellowship at the Massachusetts Eye and Ear Infirmary. 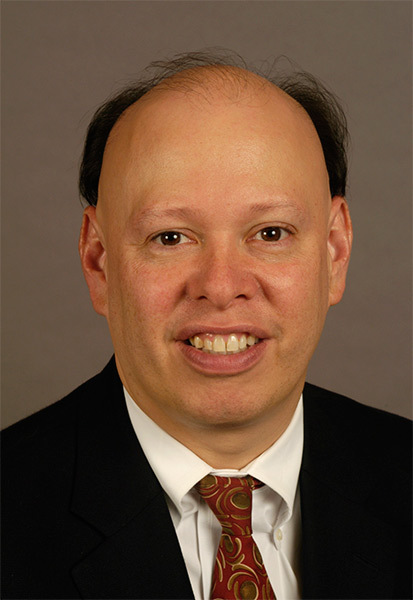 Currently the Director of Refractive Surgery at the Massachusetts Eye and Ear Infirmary, and former Division Chief of Ophthalmology at the Brigham and Womens Hospital, Dr. Pineda has published over 50 peer-reviewed papers and co-authored 5 books including the award winning Massachusetts Eye and Ear Infirmary Illustrated Manual of Ophthalmology. He has received the American Academy of Ophthalmology Achievement Award and Senior Achievement Award. He currently serves on the American Academy of Ophthalmology (AAO) Ethics Committee and on the AAO Practicing Ophthalmology Committee in Cataract. He regularly participates in the Flying Eye Hospital Programs run by ORBIS International since 1998 including his most recent trip to the Kolkata in 2013. He was recently appointed the Associate Director of the Office of Global Surgery and Health at MEEI. He is currently working on development of a new optical imaging device for evaluation of the cornea and lens.